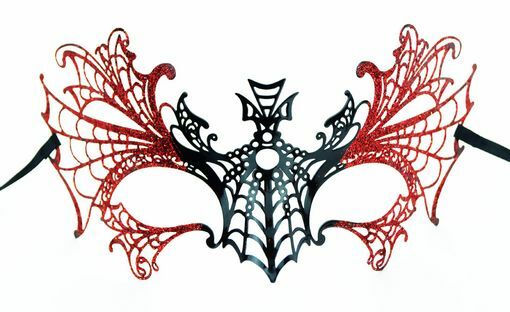 Lazer cut black metal Halloween mask is is hand glittered, lightweight, and comes with ties for easy wear. This is a fantastic accessory for a Halloween costume. Color of mask is black with red glitter.